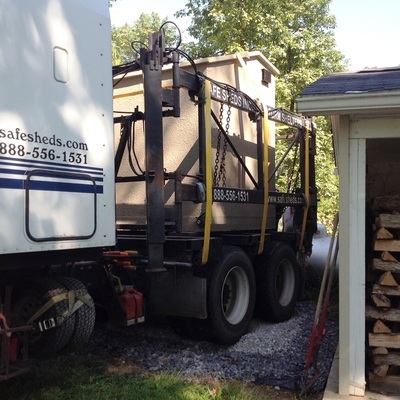 Delivering Your Storm Shelter - Safe Sheds, Inc.
A Safe Shed Can Be Unloaded In Less Than 2 Hours! Safe Sheds storm shelters don't require a concrete pad for installation and anchoring, saving you hundreds of dollars! Our storm shelters can sit directly on almost any level surface...dirt, gravel, concrete, or asphalt. 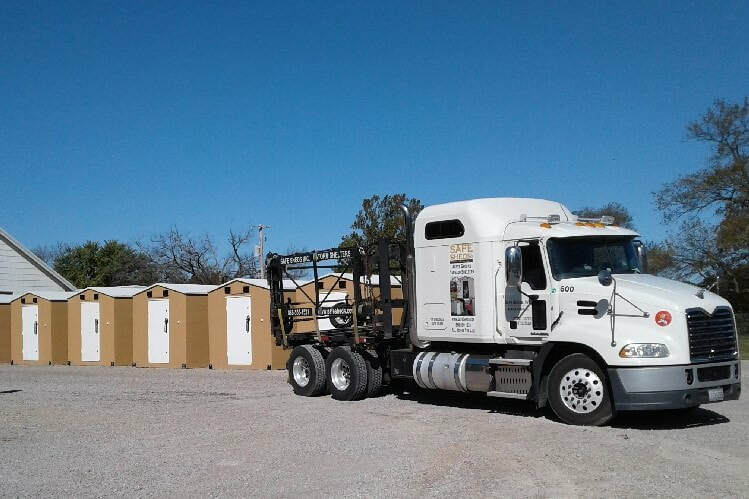 And our custom-built delivery trucks can set your shelter within three feet of existing structures without the use of cranes. Because they're above ground shelters, there's no need to use heavy equipment to dig a huge hole in your yard or through your garage floor. In most cases, your shelter can be delivered, anchored, and ready for use in less than three hours! These videos show how your Safe Shed above ground storm shelter will arrive. Our custom-built delivery equipment allows one man to unload your 24,000 pound tornado shelter in less than 2 hours! "Just a quick e-mail to say thank you to...Chuck, for representing Safe Sheds in a very positive and professional manner during the delivery of our 8' x 10' shed. Chuck, under extreme (105 degree heat index) conditions, was very professional, polite, and willing to answer all my questions." "Thank you so much, and special thanks to Lee, who delivered my shed. I'm always impressed with anyone who is knowledgeable, talented and enthusiastic about their work, and Lee is all of that." 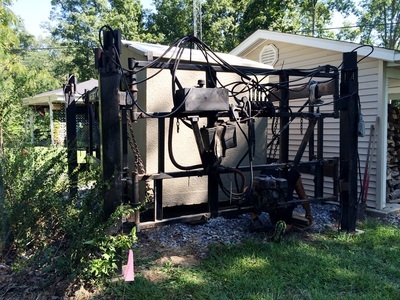 "Eric delivered my Safe Shed today. What a genuinely nice guy, fast, efficient, courteous and professional. 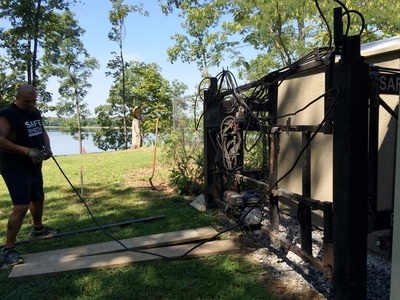 I can not say enough good about the delivery and installation."